Sequim Home Inspection – What’s Involved? 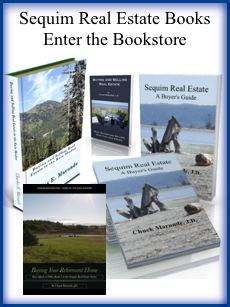 I recommend all my buyers have a Sequim home inspection completed as one of the contingencies of buying a home in Sequim. You can do your own Sequim home inspection if you are an expert in construction, heating and circulation systems, wells and septics, electrical, foundations, roofing, siding, appliances, and so on, but most of my buyers are not. It makes sense, in my opinion, to hire a local expert who has inspected hundreds of homes in the area and who knows the potential red flags that will protect you from buying a home with a serious defect. This morning I will attend a home inspection with a client from California. As a Sequim Buyer’s Agent, I like to attend inspections with my clients when possible, but especially when they cannot be here. This is a three bedroom single level home in a very nice neighborhood with a peaceful view of farmers’ fields from the back yard and a sweet view of the Olympic Mountains. This is a beautiful home with great curb appeal, and this is all the more reason to have a detailed Sequim home inspection done by an expert. If there are issues of any kind that are not visible, but could be expensive problems to repair later, my clients need to know now so they can have the seller take care of the problem or negotiate a reduction in the price they already agreed upon. A Sequim home inspection will typically cost from $350 to $450, a price well worth the information and protection in my opinion. As a buyer, you pay this cost, normally directly to your Sequim home inspector. While a home inspection is not a guarantee, it is a form of insurance so you won’t be surprised with a problem that could or should have been caught before you close your purchase. 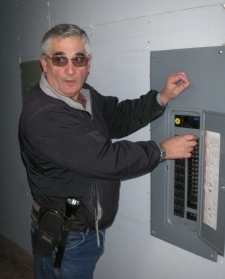 In this photo Tyler Conkle explains what he looks for in the electrical system during a Sequim home inspection. Sequim septic inspector and designer Eric Hibbard conducted a septic inspection on this home just sold between Sequim and Port Angeles. This home is a new manufactured home built with high quality and custom options, which makes it a “cut above” many stick built homes that were built by discount home builders in the area. 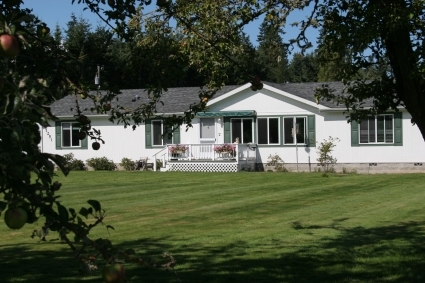 This home also sits on 1.25 acres in an area of similar sized lots, and has a view of the mountains to the south. There actually is a small water view looking out the dining room window and kitchen window to the south. Buying a home in a rural area outside the Public Utility District means having your own well and your own private septic system inspected prior to closing. A septic inspection is not complicated or expensive, but you really need a Sequim septic inspector who is licensed and certified to do that job. There are stringent requirements for septic systems, and it is fairly well known that the laws now require systems that are designed to far exceed the standards needed. All the more reason to hire a Sequim septic inspector to be sure the home you’re buying is up to the legal standards and that there are no problems lurking in dark places. One assumption home buyers sometimes make is that all septic systems should be pumped by the seller before closing. According to Eric Hibbard, that is not true. If a septic tank is pumped too early, the bacterial action necessary to break down contents will be interrupted, and the septic system will not operate at peak efficiency. After measuring the level of solids and liquids in this system, Eric recommended the system not be pumped. It was operating perfectly. 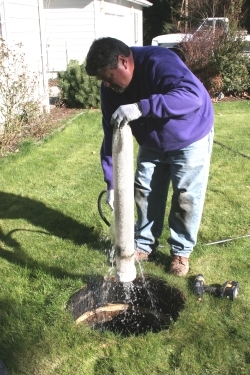 Our Sequim septic inspector also examines the drain field to make sure it is working properly. A system permitted for two bedrooms will have a drainfield that is 100 feet long, and you add 50 feet to the drainfield for each additional bedroom. There’s a good reason to keep Eric Hibbard’s contact information in your rolodex (does anyone still use a rolodex? ), because the law now requires an annual septic certification by a certified inspector. It’s a pain, but it needs to be done to comply with the law, although there is no code enforcer on this requirement. Should you need an annual inspection, I do recommend Eric, because he is not only licensed and certified, he is also very knowledgeable and professional. 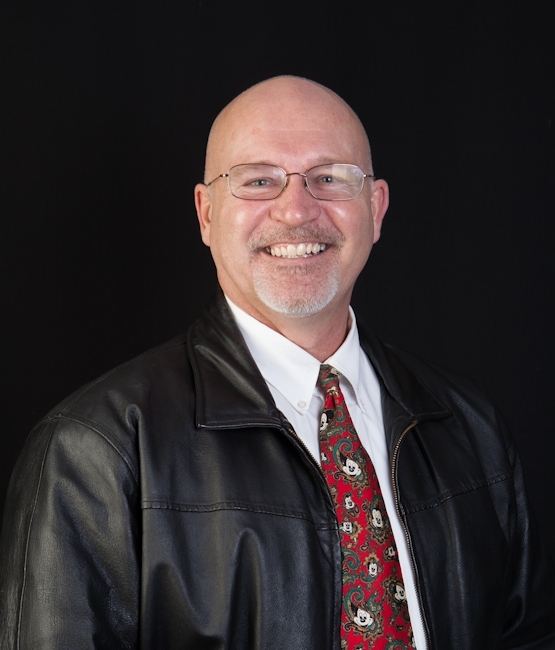 Eric Hibbard, can be reached at Soils Application in Carlsbord (between Sequim and Port Angeles) at 360-683-6300, your friendly Sequim septic inspector. As a Home Inspector I am involved in continuing education. Keeping up-to-date with current building practices, changes in standards and unfortunately, sometimes product defects and re-calls that affect the inspection industry is a full time occupation. I am often asked questions concerning the reputation of not only the builders, but of the quality and types of the building materials being used in the construction of newer homes and attached decks and balconies. Although the majority of our local contractors are in the business of quality workmanship when building or renovating homes, they are still subject to the possibility of having used less than superior or even acceptable materials. Some manufacturers are responding to distributor’s, wholesaler’s, retailer’s and customer’s complaints by issuing alerts and warnings of product deterioration and failure. Installing the decking to meet each particular manufacturer’s specifications is paramount in complying with warranty guidelines and restrictions. Taking a moment to look over the following information could help your clients better understand that even using the most currently advertised materials is no guarantee that problems will not develop in the future. It is my job as an inspector to carefully relay any applicable information, based on the visible conditions observed at the time of inspection that may impact the life expectancy of the decking materials that were used in both new construction and renovated decks and balconies. When you buy a home, it is wise to have a septic system inspection unless you are on a public sewer system. A septic system consists of a tank and a drainfield. The tank holds the solids and the liquids overflow into the drainfield and are dissipated. In our Washington real estate forms and “Septic Addendum,” it is the seller’s responsibility to have the septic system inspected. The temptation of some buyers is to require a seller to pump the septic system, but that could actually cause damage to the system. According to Jerry Jacobs shown in this photo inspecting a Sequim septic system, a tank should not be pumped unless it has 30% or more of solids in the tank. In a standard sized tank of 1,000 gallons, that would be 18 inches or more of solids. Why wouldn’t you automatically pump a tank clean even though it has less than 30% of solids? A septic system needs bacteria to work. The waste water separates into layers in the septic tank. This is where the process of decomposition begins. Bacteria, which are naturally present in all septic systems, begin to digest the solids that have settled to the bottom of the tank, transforming up to 50 percent of these solids into liquids and gases. If you pump a tank too early or too often, you inhibit the bacteria building and decomposition process. Septic systems can last for years, but if not maintained properly, you could end up with a hefty expense some day. Here are a few important tips to make your septic system last forever. By the way, if you are a retired couple and don’t have a lot of company staying with you, you probably won’t have to have your septic tank pumped for many years. Do not use a garbage disposal. These items usually double the amount of solids added to the tank, and according to Jerry Jacobs is a major reason for septic system failure. Do not use your wash machine excessively. Also prevent clothing lint from getting into the system, because it clogs drainfields. Do not flush non biodegradable products into your system (read the content descriptions on packages). Do not dump solvents, oils, paints, thinners, disinfectants, pesticides or poisons down the drain which can disrupt the treatment process and contaminate the groundwater. Do not dig in your drainfield or build anything over it. Do not drive over your drainfield or compact the soil in any way. Do not plant trees or shrubbery in the absorption field area, because the roots can get into the lines and plug them. Grass is the only thing that should be planted on or near a drainfield. A special thanks to Jerry Jacobs for sharing his wisdom with this author. 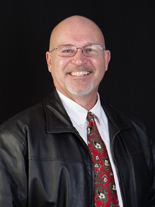 Sequim Home Inspectors: Same of Different? Are Sequim home inspectors or Port Angeles home inspectors good, all the same, and are they all reliable or biased? There is some nonsense going around on the Internet about the “dangers of getting a referral for a home inspector from your Realtor.” If you are buying a home in Sequim or Port Angeles, I’ll tell you the honest-to-God truth in this brief article about home inspectors. Here is a comment by someone who knows just enough to be dangerous themselves. What is the truth about Realtor referrals and home inspectors in our small communities? I think I know all the home inspectors here, and they are all good, honest, hard working, and ethical men. There is absolutely no question about this. They all work off very detailed checklists, and the boilerplate checklists are almost exactly the same. Why? Because the issues of concern that have been developed over the past decade are common concerns that intelligent home inspectors all address in their inspections. As for Realtors trying to hire home inspectors that won’t do a good job so the buyer can be fooled and the Realtor can get a quick commission, that is pure nonsense. At least it is here on the Olympic Peninsula. I’ve seen a lot of home inspections, and a seller is simply not going to be able to hide anything that is discoverable by a home inspector, and it is very very hard to hide a defect from a home inspector. There is no inspector in Sequim or Port Angeles that will intentionally not disclose a defect! Home inspectors are also under the microscope to do an extremely thorough inspection, because the liabilities of getting sued and dragged through expensive litigation are simply too great to risk just to help a Realtor cheat a buyer. Maybe in some corner of Los Angeles or in New York city these kinds of conspiracies can happen, but not here. Sequim home inspectors and Port Angeles home inspectors are some of the best in the country, and you would be justified in relying upon your Realtor’s recommendation for a good home inspector. While a home inspection is not required by law in Washington, it certainly is wise for a buyer to hire a home inspector to examine the home and discover any possible major problems that may effect their desire to complete the purchase. While most people get that, there are some major misunderstandings about what a home inspection is and is not. In this article, we interview Tyler Conkle of Vanguard Inspection Services Inc. in Sequim to learn what a home inspection is and what is and is not included in a home inspection. I ask Tyler to tell us what is included in a home inspection. 1. The grounds. This includes service walks, driveways and parking, porches, steps, patios, decks and balconies, fences, landscaping that effects the foundation, retaining walls, hose bibs, and any other conditions that may effect the house itself. 2. The electrical. This includes the heating system, air conditioning or heat pump, outlets, and lighting. 3. The roof. We inspect the eaves, the gable, the roof covering (shingles), flashing, skylights, and plumbing vents. 4. The exterior. This includes the chimney, gutters and scuppers or eavestrough, siding, trim, soffets, fascia, flashing, windows, and crawlspace. 5. The garage. We inspect the garage door and the opener, the floor condition (concrete or otherwise), exterior service door, electrical issues, fire separation from the house, and the ceiling. 6. The kitchen. 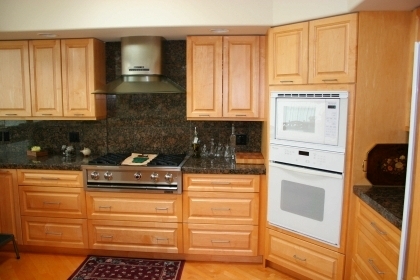 This includes countertops, cabinets, plumbing components, walls and ceiling, heating and cooling source, and appliances. 7. The laundry room. This includes the laundry sink, plumbing, venting for the dryer, electrical, G.F.C.I., appliances, and gas shut off. 8. The bathrooms. This includes a detailed inspection of the tubs and sinks and the plumbing, the shower, toilet, walls and ceilings, heating, circulation, and for each of the bathrooms. 9. The bedrooms. Each bedroom is inspected for all the necessary components, electrical outlets working, vents, heating and cooling, fans, ingress and egress, fire alarms, and doors. 10. The interior. This includes everything already listed but also interior windows, window seals, fireplace, stairs, steps, and smoke and carbon monoxide detectors. 11. The attic. The attic is inspected for sound structure, the type of insulation and whether it is sufficient, venting, where fans are exhausted to, HVAC duct, chimney case, evidence of condensation or moisture, and vapor barriers. 12. The crawl space. This involves inspecting for access, foundation walls, siesmic bolts, drainage, ventilation, girders/beams/columns, joists, sub flooring, moisture stains, insulation, vapor barrier, and any signs of problems. 13. The plumbing. All plumbing systems are checked throughout the house, including water service and pressure, main shut offs, well pump, water heater (capacity and combusion air venting), and water softener. 14. The heating system. The system is examined and operated to test it for correct operations and heating, including electrical controls and systems. Cooling systems are also tested extensively. There is much more to an inspection, because these are just the categories and each category involves a detailed inspection. While some inspectors rush in and out in 20 minutes, Tyler Conkle is known for often taking two or three hours to complete a home inspection, but that only points out how through his inspections are. “Sometimes buyers don’t understand when they hire a home inspector that there must be a signed contract and that the contract explains what is not included in an inspection. We do a tremendous amount of work for $350 and we put all that in writing in a detailed written report, but some people are wanting a guarantee or an insurance policy. Realtors often will tell buyers that a home inspection is cheap insurance, but is definitely not insurance. What is sometimes hard for buyers to understand is that when my inspection is done, while I have done the inspection to the best of my ability, my liability ends when my inspection is done. Home inspectors are not home insurers. If a buyer wants insurance, they need to pay for an insurance policy through a company that offers warranties on home appliances and other items.” Tyler explained that without the contract, the home inspector is not covered by his liability insurance. It is his insurance company that requires he have a signed contract. Can a person do their own inspection or just have their contractor do it? Sure. Is it a good idea? No. There’s a big difference between an experienced and professional home inspector and someone who has just enough knowledge to be dangerous. 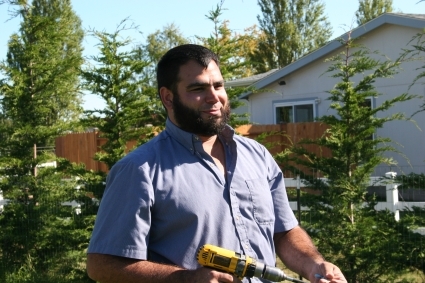 Tyler has taught home inspectors in seminars. He would ask the students what time is was, and they would all look at their watch. Then he would ask, “what color is the face of your watch?” Immediately they would all look at their watches, because they don’t know. Nine times out of ten a person doesn’t know what color their watch is even though they look at it 80 times a day. This is the diference between a home inspector and someone who does not have a trained eye. Even a contractor can be looking at a window in a house and see it diferently than a home inspector. A contractor is looking to see if it was installed correctly and that it was caulked correctly. Tyler asked a contractor once, “Did you notice the thermal seal is blown?” “Oh, no I wasn’t looking for that.” A home inspector is trained to inspect things most people don’t even notice. Thanks to Tyler Conkle at Vanguard Inspection Services Inc. for spending time with us and sharing some of his knowledge.